MOUNTAIN VIEW, Calif.--(BUSINESS WIRE)--Today Cape Analytics, the provider of the most accurate and up-to-date property data for insurers and reinsurers, is announcing a major milestone: the launch of its data coverage for the entirety of the continental United States. Now, insurers can access data on over 70 million buildings across the country in milliseconds, allowing them to instantly pre-fill property information at the time of quote, choose better risks, price policies more accurately, and reduce post-binding adjustments and cancellations. Further, data from Cape Analytics will accelerate the home insurance application process for consumers, powering accurate online quotes with fewer time-consuming questions. Today, trillions of dollars are tied to real estate assets, but property-related financial decisions are often based on inaccurate or out-of-date information. Cape Analytics uses computer vision and machine learning to turn current geospatial imagery into structured data for any property. This data ranges from nearby hazards to building footprints to roof condition. With Cape Analytics, insurers, reinsurers, and other customers can access 500 million such data points for addresses nationwide, instantly, across entire property portfolios. The breadth of Cape Analytics’ data allows insurers and other property stakeholders to survey vast portfolios with unprecedented scale and speed. For example, Cape Analytics can tell property insurers that eight percent of roofs in the United States are in poor condition and should be considered for replacement. Today, carriers can only identify poor-quality roofs through costly and time-consuming in-person inspections. In less than 12 months, Cape Analytics has expanded its coverage from Florida alone, to thirteen states across the southeastern seaboard, and now to nearly every single-family home in the country. In addition, the company has expanded the breadth of its data to encompass critical insurer-specific features including roof characteristics such as geometry, covering material, condition, and extensions; building characteristics such as solar panels, and pool enclosures; and parcel characteristics, such as trees which may present a liability. Cape Analytics was established in 2014 to revolutionize the way information about the built environment is created and used. 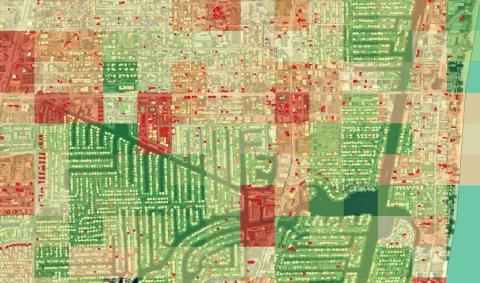 The company leverages geospatial imagery, computer vision, and machine learning to instantly and automatically extract proprietary property data for insurance carriers and other property stakeholders. Cape Analytics establishes a new category of property data and analytics, offering immediacy and coverage comparable to pre-filled data, but with accuracy and detail that previously required time-consuming in-person inspection reports. Cape Analytics seamlessly integrates into an insurance carrier’s quote engine via API.